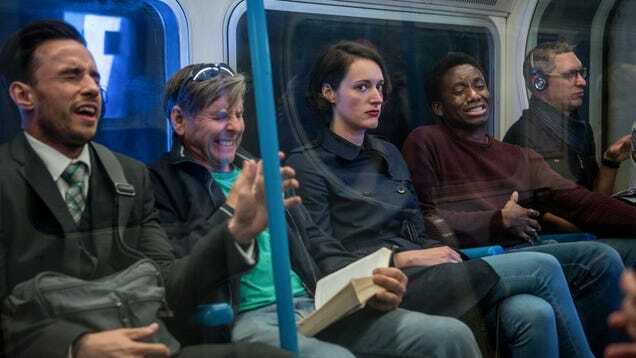 Good news for fans of “cheerfully nihilistic” comedy—Amazon Studios has renewed Phoebe Waller-Bridge’s Fleabag for a second season. The streaming arm of the retail giant announced the new season in a press release, which has a premiere date set for 2019. That’ll be three years after the first season debuted, but Waller-Bridge has been busy filming the young Han Solo movie and dealing with rumors that she would play the 13th Doctor. But she sounds eager to get back to the bad decisions and absurdity of Fleabag, which she stars in and adapted from her one-woman show. “I asked myself if Fleabag has more to say and frankly she hasn’t shut up since,” Waller-Bridge said in a statement. “Series two will be a whole new adventure and I’m beyond thrilled to be coming back.” For more on Fleabag (the character’s) “prickly” development, check out our interview with Waller-Bridge.